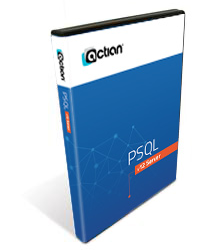 The PSQL v12 database engine license can be installed to ONE server at a time. While you can migrate a license from one server to another by deactivating it first, if the first server fails, you may not be able to bring up a new server to replace it in a timely manner. Instead of purchasing a complete license for the second server that may never be used, PSQL Insurance may be a much better option. This product contains a special license key that allows you to bring up a temporary server for a period of 7 days on three separate occasions. This gets your database environment up and running immediately, giving you time to either fix the primary server or contact Pervasive and move the license permanently to the new box. PSQL v12 Insurance licenses will work on either platform (Windows or Linux) or bit level (32-bit or 64-bit), and you can switch platforms and bit levels at any time. The only user counts available are 50-User and 250-User. You can get more details about this product from our product page. The Actian part number for the 50-User license is INS12-150664-050-01.